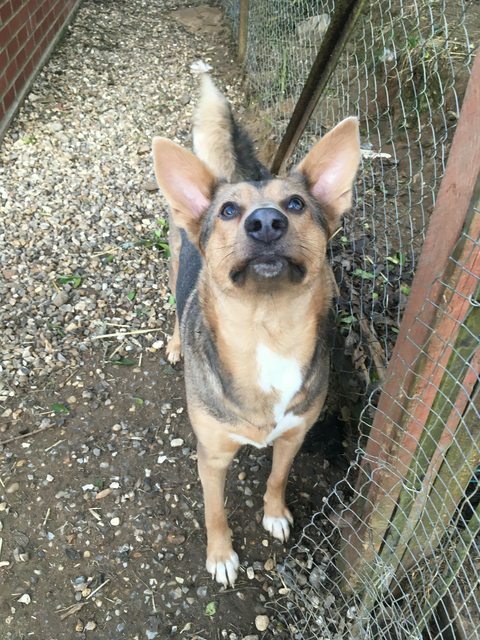 Cassie is a 2 year old female German Shepherd Cross. Cassie is one very special girl. Ever so loving, very affectionate. Everyone who meets her falls in love. She was rescued with her mum and siblings when she was only a few weeks old baby. Sadly her mother froze to death in Romania, as her immune system fell from the bitter cold and breastfeeding her puppies. Her puppies survived and all found homes, including Cassie. However, two years later, Cassie’s owners separated and Cassie found herself homeless. 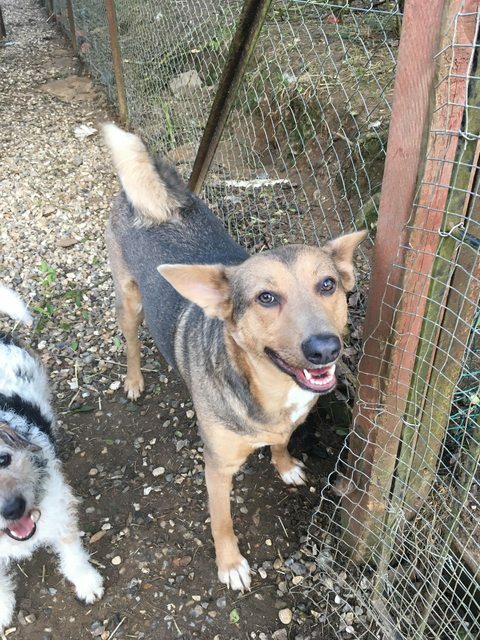 Cassie is extremely friendly with people, gets on with dogs she meets, but can be protective of her owner when walking on a lead, and can bark other dogs. She has never shown aggression and is a calm girl, who likes to spend most of her days lying around. We are ideally looking for a home with a big garden, so she can stay indoors and play in the garden, with minimal walks as she doesn’t enjoy them. She also prefers being around people most of the time, so ideally a family where she isn’t left on her own would be perfect. If you can give Cassie a home, please get in touch with us. 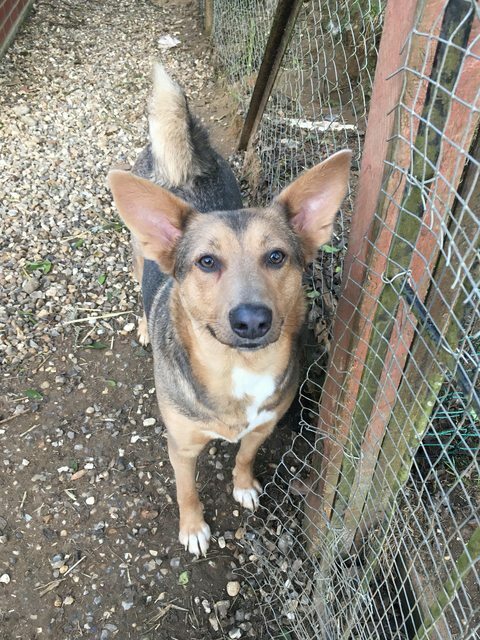 For further details about adopting a dog from Rescuing European Animals in Need (REAN) via their Norfolk, UK base, please contact Lauren Crump: hellorean@outlook.com or 07401444410. All dogs rehomed via this rescue will be microchipped, spayed/neutered and vaccinated. Home checks are carried out and full post adoption support is offered.